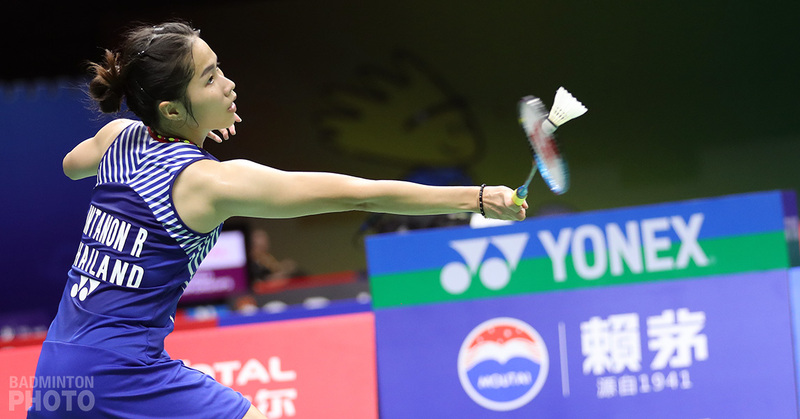 As Tai Tzu Ying vies again for the most prestigious title of her career, the illustrious cast of the women’s singles world will again line up to stop her. 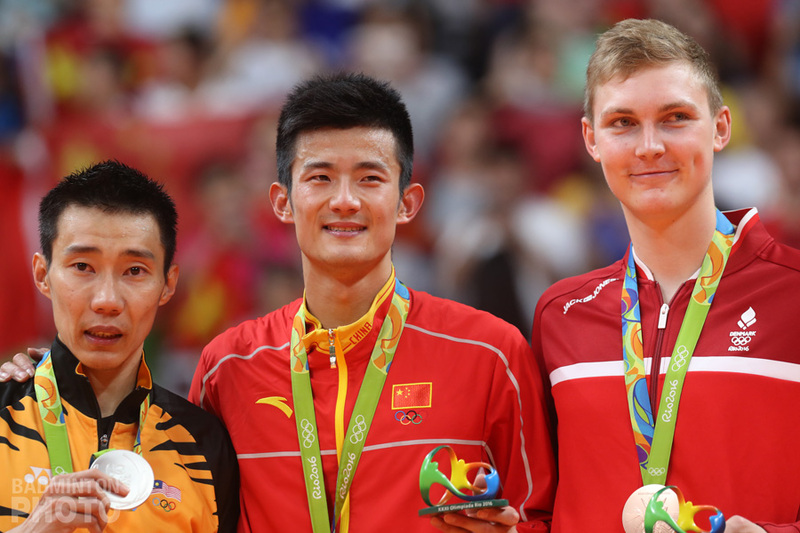 World #1, All England winner, Asian Champion…Asian Games gold medallist? 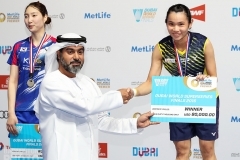 Tai Tzu Ying (pictured above) is poised to add another feather in her cap. In all probability, the ace from Taiwan could have also been the World Champion in Glasgow last year; but she chose to compete in the World University Games hosted by Taipei City. Of course, Tai won the Summer Universiade gold with ease. One of the fittest athletes on tour, the top seed from Chinese Taipei is in red-hot form, having won four titles from five finals in 2018. The bronze medallist from Incheon 2014 is considered to be the favourite to change the colour of her medal to gold. She has lost just two matches this year. 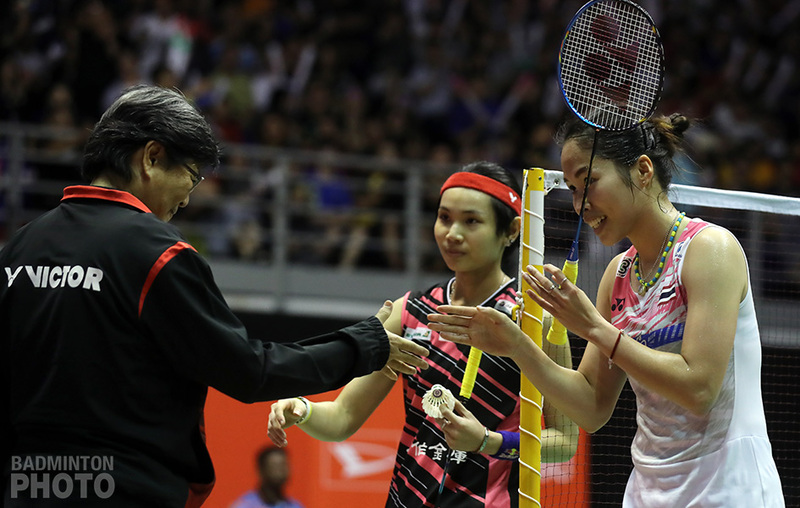 One was against Thailand’s Ratchanok Intanon (pictured) in the finals of the Malaysia Masters at the start of the season. 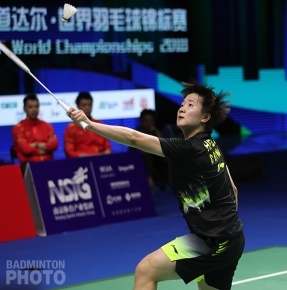 Then last month, China’s He Bingjiao halted Tai’s stupendous 31-match winning streak with a thrilling upset in the quarter-finals of the Worlds in Nanjing. 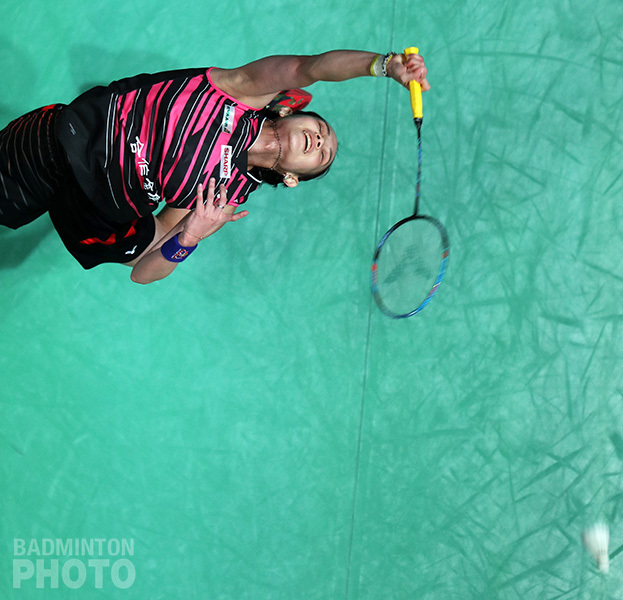 The world #1 will be rearing to avenge her loss at the Asian stage in Jakarta. The talented Japanese players – former World Champion Nozomi Okuhara and world #2 Akane Yamaguchi (pictured left) – are standing in the way. The petite compatriots will be in different halves of the draw and odds are that at least one of them should reach the final stage. 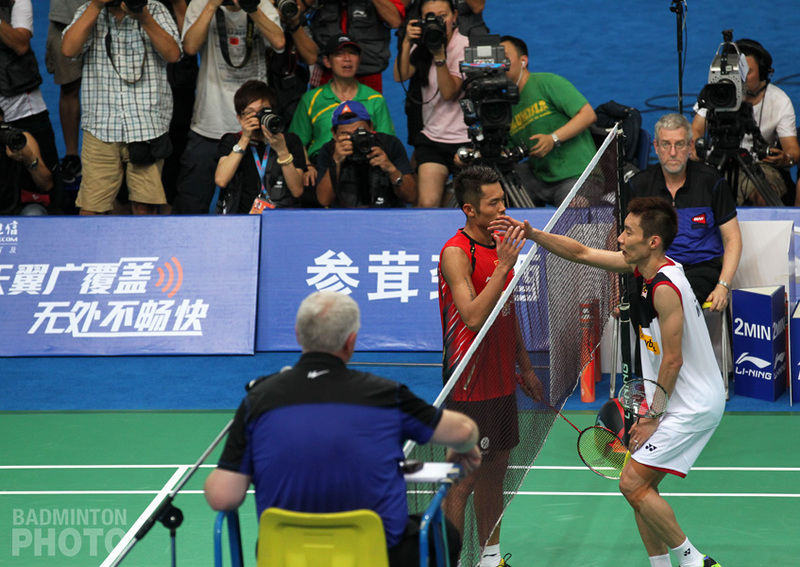 The final matches in the last four editions of the Asian Games – Busan, Doha, Guangzhou and Incheon – have featured both finalists from the same country, thanks to a BWF rule which separates the two players from an NOC into different halves of the draw. 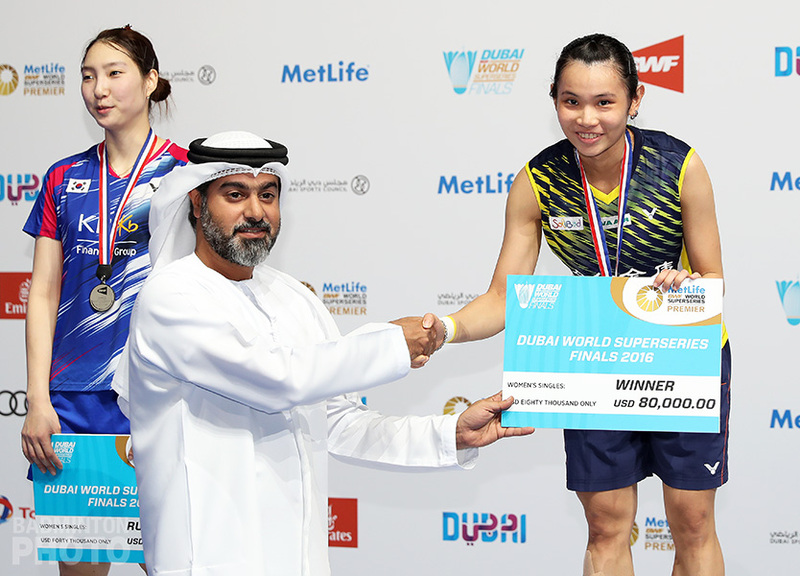 Yamaguchi won the bronze at the recently concluded World Championships, going down fighting to India’s Sindhu, who had also beaten Okuhara in the quarters. Dark Horses: Watch out for Pullela Gopichand’s wards in the draw! 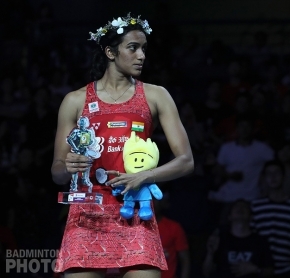 23-year-old Pusarla Venkata Sindhu (pictured) has always punched above her weight on the big stages. By now, excelling at the majors is what we expect of the world #3, but still, her title conversion record in finals of major events has been under constant scrutiny and unwarranted criticism from Indian journalists. In some of the instances, one’s opponent is just the better player on that particular day. Carolina Marin’s blitzkrieg at the Worlds last week, where the Spanish southpaw ran amok to win a third World crown, was one such occasion. Sindhu’s collection of silver medals has been impressive. Just in the last two years, she made the finals at the Rio Olympics, Gold Coast Commonwealth Games, the 2017 Superseries Finals and 2 consecutive World Championships. Saina Nehwal’s mental strength, grit, and determination have made her one of the most formidable players in recent times. The reigning Commonwealth Games champion has shown time and again that she still has enough skills in her repertoire to beat younger challengers. The Indian created history by becoming the first woman to reach the quarter-finals of the World Championships eight consecutive times. But the pertinent question is, can the two-time quarter-finalist at the Asian Games sustain the pressure and fitness through the two weeks of competition? The bronze medallist from the 2012 London Olympics was a part of the bronze medal winning Indian women’s team in 2014 but is still looking for her first individual medal. India has never won any medal in women’s singles in the history of the Asian Games. The former world #1 will be 32 by the time of next Asiad in Hangzhou, 2022. Nehwal’s legion of fans around the world, who fondly refer to her as “Super Saina”, will be hoping for a big win in Jakarta. Indonesia has always been a happy hunting ground for Saina Nehwal (pictured). Globally, athletes are pushing retirement with the aid of smarter scheduling and technological advancements in the fields of physiotherapy, nutrition & medicine. The gold medal at the second largest multi-sport games outside of the Olympics will be a humongous addition to her already illustrious career. Even as Nehwal is looking for her first individual medal, her nemesis and gold medallist from the 2014 Asian Games, Wang Yihan of China has been retired from professional badminton for two years. 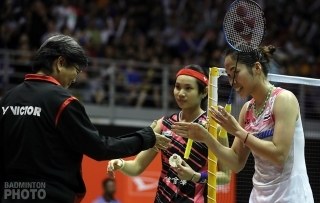 For those 2 years – minus a couple of months – Chinese women have failed to win a Superseries or its equivalent (BWF World Tour Super 500 or higher). With China’s dominance in women’s singles on the wane, this might be the ripe opportunity for players from other countries to clinch the title for the first time since the 2006 Doha games. But anyone who has followed this sport knows that it would be a grave mistake to count them out. The next generation players, Chen Yufei & He Bingjiao (pictured), are dangerous floaters waiting to cause upsets. 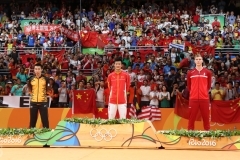 He Bingjiao has already shown her capability by ousting the top seed and winning bronze at the Worlds in Nanjing. 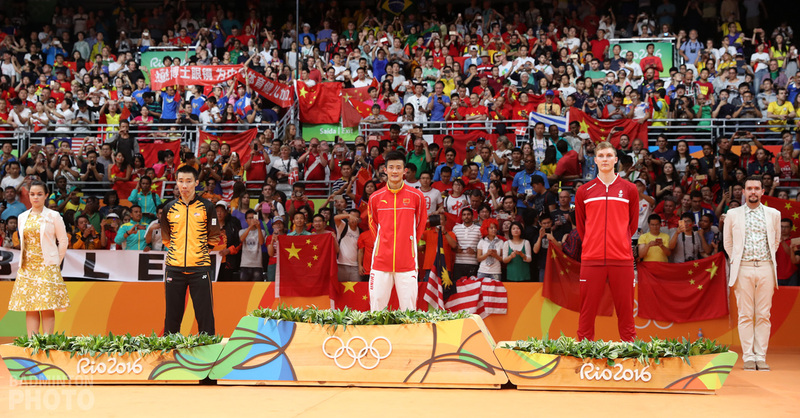 Former world #1 & London 2012 Olympic gold medallist, Li Xuerui has made a comeback from injury recently and already won three titles on the trot. But her potential was not seen as strong enough for her to be selected as each nation can enter a maximum of two players only. Former World Champion Intanon of Thailand has been playing under the radar for quite a while now. Look out for the naturally skilled Thai, who has proven to be dangerous in the past. The female players – with their contrasting styles of play, agility, and deception – have carved a niche for themselves in this sport. It will be interesting to see if the draw plays out as expected for Tai or if the rest of the field can cause upsets against the heavyweights from Japan, India and China.